Gerald Murnane is one of Australia’s most eminent writers, a winner of the Patrick White Award and the Melbourne Prize for Literature. His amazing new book, Something for the Pain: A Memoir of the Turf, is a departure from his fiction and tells the story of his life through the lens of horse racing. Gerald has always eschewed computers in favour of his faithful 1965 Remington Monarch typewriter, so this quick Q&A with senior editor David Winter was undertaken by mail ahead of the publication of Something for the Pain. The interview is reproduced below, and you can also see a scan of Gerald’s original typewritten responses. The cover of Something for the Pain shows you as a boy—aged about ten, I think. What do you remember of the day that photo was taken? The photograph was taken on a Sunday morning in the winter of 1946, when I was seven. My two brothers and I were photographed by Mrs Greta Burtonclay in the front garden of the Burtonclay home, about a hundred metres away from my family’s home in Neale Street, Bendigo. I don’t recall the occasion, but I recall similar occasions when I marvelled that the Burtonclays could afford to own such a luxury as a camera. Do you have photographs of the ‘amazing light in [your] favourite building’, Sacred Heart Cathedral in Bendigo, or do you prefer to call it to mind—and have you ever met someone who didn’t share your opinion of the building? I believe, as the narrator of Remembrance of Things Past claims to believe, that photographs are of little use in restoring our experience of past events, although I sometimes pore over old photographs as Marcel Proust is reported to have done. In my library, which is stored far away in Melbourne, is a booklet about Sacred Heart Cathedral, Bendigo. At least one of the illustrations in the booklet shows the distinctive light that I wrote about in Something for the Pain, and it occurred to me only now that I may well have had such an illustration in mind while I wrote. If I did so, this would have been another example of my tendency, mentioned in [the section entitled] ‘Orange, Purple Sleeves, Black Cap’, to be more affected by illustrations or written accounts than by actual sights or events. Where in Melbourne and on what day do you recommend that a newcomer to horse racing experience their first race? I would never be so bold as to recommend any sort of experience to another person. Experience surely depends more on receptiveness than on the details of what is experienced. Your favourite horse is Bernborough, who raced when you were an infant. If you could choose any jockey and design your own racing colours for Bernborough, who and what would these be? I was no infant but a boy of seven when Bernborough was at his best. Surely nothing that I’ve written about Bernborough or any other horse could justify my being asked the fatuous question asked of me here. You have over decades developed a large archive—your Antipodean Archive—recording many imagined horse races that have run in imagined lands. In these races, which horses have been most significant to you? I can easily name the horses: Hortobagy, Longfire, and Orgona. However, to explain their being named in this context would require me to write a book nearly as long as Something for the Pain. Wait until my archives are made available ten or twenty years after my death, but be prepared to do plenty of research. Do you keep a running list of potential horse names—and, off the top of your head, could you tell us a good name for a horse? Yes, I keep such a list, and no, off the top of my head I can’t do what you ask, but several essays at the front of the Antipodean Archive, comprising about 20,000 words in all, explain the naming of many horses in the archive. You’ve said that Something for the Pain is pure autobiography, that the Gerald Murnane in this book is you and not—as in your fiction—a personage who some readers have mistakenly believed to be you. 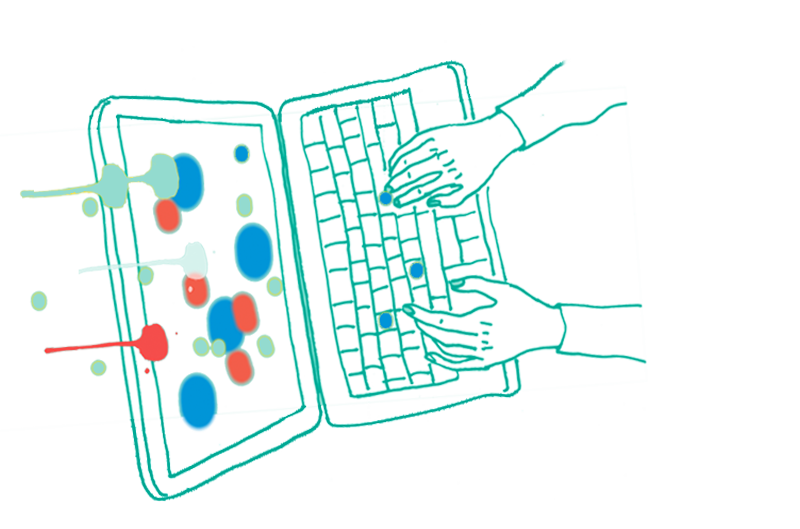 Did you find that the process of writing a memoir differed much from the process of writing fiction? It was a hundred times easier. What do you consider to be the finest sentence in Something for the Pain: is it by any chance the last one in the first section, or the last one in the final section? I admit to having taken less care with my sentences in this book than with those in my books of fiction. Your two nominations are worthy ones. I like to read aloud also the last few sentences in the second-last paragraph of ‘Gerald and Geraldo’, especially the third-last. What was the last book by another writer that you read and admired? Fiction: Lavengro, by George Borrow, read last year for the third or fourth time. Non-fiction: Certain Admissions, by Gideon Haigh, which is a book of painstaking research into a notorious Melbourne murder that I read about in newspapers as a boy. 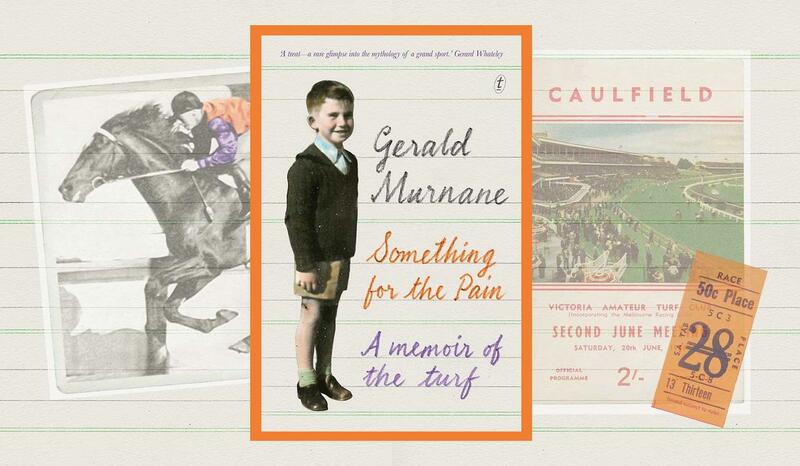 Join Gerald Murnane and Craig Sherborne for a discussion about books and horse racing at Readings Carlton on 26 October. Event details here. Something for the Pain is published on 23 September. Pre-order from your favourite bookshop or online now.